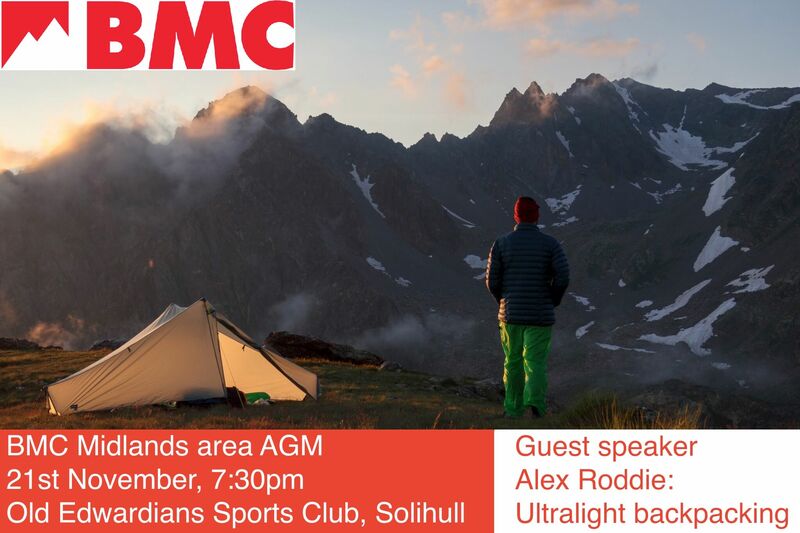 The next BMC Area meeting and the Midlands area AGM will be held at the Old Edwardians Sports Club in Streetsbrook Road, Solihull (B90 3PE) this coming Wednesday 21st November. After the BMC business there will be free refreshments and then a talk by Alex Roddie, writer and exponent of long-distance, wilderness journeys and ultralight backpacking. ← Didn’t We Have a Lovely Time the Day We Went to Barmouth!